A major flavors company was looking to improve production capacity through automation. Operators had been pouring each product into totes in precisely measured portions. They either had to select product from one of numerous hoses piped to drums or walk to the inventory drum room to pour out the required product. The process was slow, inventory control was poor, batches were lost with operator mistakes, and the process was becoming too expensive for the company to be competitive. 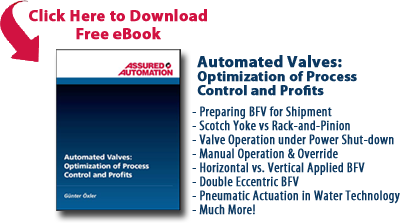 This company required a high-cycle, fast-acting valve for their filling line upgrade. They wanted a valve that could last millions of cycles and quickly close to achieve tight tolerances on pours of various ingredients. 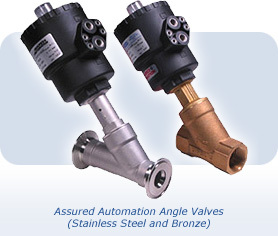 The plant operators piped all their ingredients to a filling area with an Ares Angle Valve on each line. They used a weigh scale to control the pour of each product. The resulting improvement in accuracy of batches, inventory control, cost savings per batch, and time saved, convinced management to upgrade additional production centers. This entry was posted in Flavor/Fragrance, Latest News and tagged Angle Valve, Angle Valves, Ares & Zeus Series, Automated Valves, Compact Automated Valves, Pneumatic Piston Valves, Pneumatic Valves, Pneumatically Actuated Valves. Bookmark the permalink.